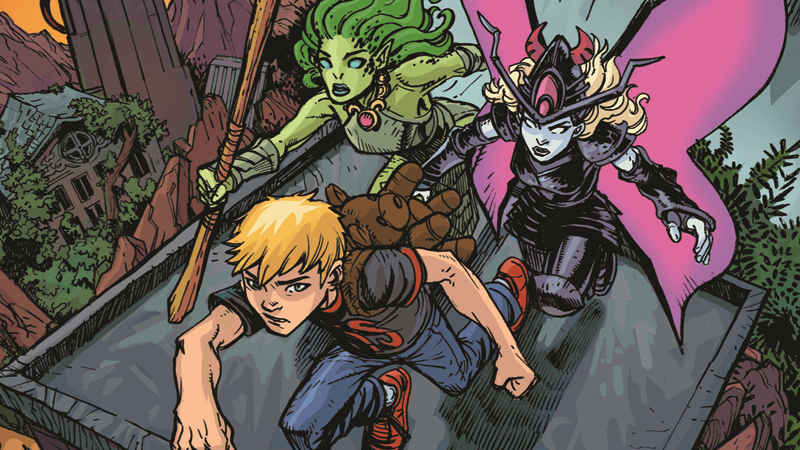 Since 2013, David Gallaher and Steve Ellis have been charting the adventures of Erik Farrell, the sole human on a mysterious planet, in their all-ages scifi webcomic The Only Living Boy. Now, the series is getting its first ever print release next week—and io9 has a preview! The Only Living Boy: Prisoner of the Patchwork Planet will be released next week on March 9th.